Here’s a bit of trivia: Did you know that HM Queen Elizabeth’s personal fortune is estimated to be worth up to £360m? We take a peek at the properties belonging to the world’s longest-reigning living monarch. Some of the most aristocratic people of all time are the monarchs of England. The royal family, which traces its origins as far back as the 10th century, is the embodiment of some of the strongest empires the world has ever seen. Like the game of Chess, which is modelled after the British royal family, the UK is one of only two kingdoms in the modern world where the Queen holds the highest form of authority. As the Sovereign of an enormous empire that has historically conquered most parts of the world, one has to wonder: does the longest-reigning Queen have investments of her own? The short answer? Yes, she does. The sovereign can own real estate in several ways — through the Crown and, privately, through the Royal Family. A vast number of land in the UK known as the Crown Estate is owned by the Crown where it belongs to the reigning King or Queen. This property is usually run by independent organisations that the monarch hires. An interesting fact is that any profit or yield that comes from these properties is directed towards the government treasury. However, the Queen receives 25% of the revenue generated from the Crown Estate in the form of a Sovereign Grant, which is used to fund her official work and the maintenance of her residences. Many of the royal palaces and parks are owned by the Crown. According to the Land Registry, the Crown owns land in approximately 217 out of 342 districts in England and Wales — that is about 7,936 plots! The Queen also has properties that she owns personally. The privately owned properties of the Queen can be divided in the form of two duchies: The Duchy of Lancaster and the Duchy of Cornwall. Some of these properties include grand hotels, iconic race courses and historic castles. The Duchy of Lancaster, a 18,433-hectare estate, holds a number of historic properties, including the Lancaster Castle in Lancashire and Pickering Castle in Yorkshire. The Duchy generates an approximate annual income of £18m which is paid directly to the reigning monarch. A major part of the Duchy of Lancaster is the Savoy Estate, located in central London. It is home to one of the world’s most luxurious and exclusive hotels — the iconic Savoy Hotel. The Duchy had a net worth of £519m and delivered a net income of £19.2m in 2017. The Duchy of Cornwall consists of 53,000 hectares of land in 23 counties, mostly in the southwest of England. The Isles of Scilly and Dartmoor, which includes Highgrove, the private residence of the Prince of Wales and Camilla, are among the properties that fall within the Duchy of Cornwall. Unlike the Duchy of Lancaster, revenues generated are passed on to the heir of the throne — Prince Charles (currently). Beyond the bounds of the duchies, The Queen also has a number of private properties located in Greater Manchester and its surrounding areas. These properties are worth billions. Manchester’s staggering development and rising population growth makes it an attractive place for investors looking for the next big thing to invest. Property, in particular, is a secure choice as the demand for housing in the city continues to grow. This adds to the numerous indisputable reasons why investing in UK property now is a smart investor’s move. From profitable returns, lucrative rental yields and the more affordable pound, property in the UK is a viable opportunity for anyone looking for a promising prospect to plonk their pennies. When it comes to investment in the UK, there are many factors that one needs to look into before making a purchase decision – a key component would be the type of property followed by the location that would provide the best returns. A savvy investor would look into investments that appreciate with time and offer good rental returns. With international properties raking in high returns, striking while the iron is hot in the buy-to-let sector, would be a preferred choice for smart investors. TotallyMoney, a credit report company, conducted a survey of 580, 000 properties across Great Britain in order to rank buy-to-let (BTL) yields from the highest to the lowest. The survey discovered that properties located in areas with a high density of students generated the highest rental yields. This might not come as a surprise considering that many world-renowned universities hail from the UK: 10 of the world’s top 100 QS-ranked universities is from the UK, making it the second highest nation on the record. The influx of students into the UK has resulted in the growing demand for commercial properties such as purpose built student accommodation (PBSA) and residential properties situated at these university cities. CBRE’s first-ever Student Accommodation Index also revealed that capital value growth across all student properties in the UK was 6.5% as of September 2018, compared to just 4.5% the previous year. The net rents also showed a rise of 3.4% over last year. The survey also highlighted particular regions in which the student population is noticeably high due to the presence of established universities. Cities such as Liverpool and Manchester boast some of UK’s highest rental yields. With a combined student population of 70,000 and three well-known universities, Liverpool has helped boost demand for rental properties, making it the second-best BTL city. Student properties near postcode L7, where the University of Kensington is located, generate an average rental yield of 9.79%, whereas accommodation near the city centre, close to the University of Liverpool, has average yields of 9.33%. A total of six Liverpool postcodes are in the top 25 best buy-to-let areas for 2018. With the rising number of international students choosing Liverpool as their preferred destination for tertiary education, BTL properties with close proximity to universities promises a better rental yield. With four internationally ranked universities and a combined student population of 100,000, Manchester has a strong presence in the BTL market. The city was rated by QS ranking as the third best university city in the UK. Manchester has an average rental yield of 7.07%. Properties around the University of Manchester – which has the largest student community of all UK universities – provides a sustainable rental yield of 6.89%. As the UK’s second biggest city and second most affordable city for students, Manchester is ranked 51st for affordability, hence why a substantial amount of students fly into Manchester for their tertiary education. The affordability is all the more reason why BTL properties near universities are of high demand. Birmingham is seen as a good alternative for investors who are looking to obtain good rental returns and intend to avoid buying in cities with higher property prices. The UK’s second largest city is home to two leading universities, Aston University and Birmingham City University, where property values have soared due to rising demand. Recent research by Urban.co.uk revealed that Birmingham has the highest returns for property surrounding a university, with an impressive 11.66%! Adam Male, founder of Urban.co.uk believes that the northern region provides a much more attractive proposition in terms of rental yields and these areas also happen to be homes to some of the UK’s top universities. These are some aspects that landlords should consider when choosing to invest as it gives them a more affordable, yet promising step up the investment ladder. Are University Cities the next big thing? For investors who are looking to take advantage of the pound’s affordable rate, properties in university cities are rather attractive investments. 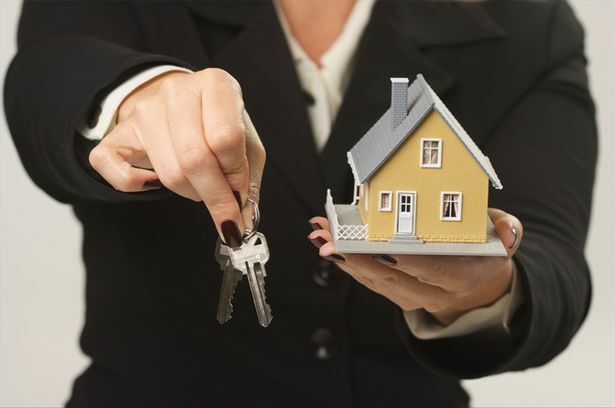 He also reckoned that investors need to be well-armed before diving into the world of property investment. They need to be well aware of aspects such as the best BTL mortgage rates and to be on top of their credit rating. It is important for investors to focus on property investment in areas that can give them the highest yield and hence, generate ample revenue. The current state of properties in university cities – high demand coupled with good rental yields, undoubtedly makes Liverpool, Manchester and Birmingham a hotspot for BTL investment. Manchester is the UK’s fastest-growing city and Europe’s second largest tech hubs. A key region of the government’s Northern Powerhouse initiative, Manchester is home to some of the world’s most brilliant minds. It is one of the world’s most connected cities, boasting efficient and convenient travelling within, to and from the UK. Manchester is a creative force with a booming reputation only set to get bigger. With a rich talent pool of over 110,000 thinkers from four leading universities, Manchester has a high graduate retention rate of 58%, making it the second highest in the UK with a working population of 680,000. This city is the sanctuary for millennials due to its promising job prospect, growing employment rate and a lavish lifestyle that no young person could refuse. This assertive, flourishing city has levels of job creation predicted to outpace cities such as Berlin, Tokyo and Paris, between 2015 and 2020*. Manchester airport serves more destinations than any other in the UK, outside of London making it the third busiest airport in UK. Forecasted to be the UK’s strongest performing city both in terms of GVA (2.4%) and employment growth (1.2%) from 2017 to 2020, Manchester is the preferred destination for millenials and the brightest minds with a world-class proposition for business and investment. Apart from being a productive and dynamic city, this urban sanctuary is also a great place where extravagant lifestyle transpires. Whether one is on the hunt for bargains or a must-have piece, an avid foodie, or a sports enthusiast, there is something to suit everyone in this city. Shopping in Manchester is a real treat. Visit King Street to indulge in the latest collections from world-renowned designers. Manchester is also home to a number of luxury departmental stores, such as Harvey Nichols and Selfridges. The famous Trafford Centre is as much a theme park as it is a shopping destination, and there is plenty to keep the whole family entertained here. Afflecks in Manchester’s Northern Quarter is the go-to place for indie commerce, where shoppers will find everything from clothing outlets to old-style record stores and retro gaming shops. Manchester has a bustling and eclectic nightlife scene for those who enjoy a drink after a long day. Whether one prefers the classic atmosphere of a traditional English pub, or the stunning views of a rooftop bar, the city has it all. For the millenials, the party never stops in Manchester, partygoers don’t need to wait until the weekend to have a good time. Manchester’s club scene is vibrant and varied making it the obvious top UK party destination. Manchester is gaining popularity for its good food, and residents are spoiled for choice when it comes to dining. At eateries in Manchester, one can find exquisite cuisine from around the world to whet your appetite. With a growing number of restaurants, delis and artisan cafés sourcing their produce locally, diners are ensured of fresh and seasonal delights. Home to two of the world’s most iconic football teams, the people of Manchester take great pride in their shared passion for sports. Whether you support red or blue, the National Football Museum, right at the city centre, is a must to visit. Manchester’s staggering development with a rising population growth makes it an attractive place for investors looking for the next big thing to invest. Property, in particular, is a solid choice as there is a growing demand for housing in the city. To meet the substantial demand for housing this increase would bring, research suggests that the city needs to build around 11,254 new homes each year. Of this, 3,120 – just over a quarter – is needed in Manchester local authority, but there were just 1,792 new homes built between 2016-17. This disproportionate supply-demand factor resulted in an increase in the house price index. Manchester registered a 15.3% increase in house prices over the past year, making it the top UK rental hotspot. House prices in Manchester are predicted to grow 22.8% by 2022. If you are looking for a viable investment in the UK, it’s time to start looking to Manchester. With Manchester becoming an even greater target for property developers, bearing in mind its huge student population and growing workforce, plonking your pounds and pennies in this city could find you ample opportunities to capitalise on not just the fastest growing city but also soon to be one of the most populated regions in the UK. Data from the Office for National Statistics (ONS) reports that deaths from dementia and Alzheimer’s disease have increased, making these conditions the leading cause of death in England and Wales for the third consecutive year. ONS released the latest statistics for births, deaths and marriages in October. Last year, 67,641 deaths were caused by dementia and Alzheimer’s, an increase from 62,948 in 2016 and accounting for more than 1 in 8 of all deaths. The overall number of deaths recorded was the highest since 2003, with 533,253 registered in England and Wales in 2017. While mortality rates caused by dementia and Alzheimer’s have increased in both men and women, ONS highlighted that they accounted for a staggering 16.5% of deaths among women. Dementia and Alzheimer’s disease are the leading causes of death in the UK. The increase in deaths is a great cause for concern. Jeremy Hughes, the chief executive of the UK’s Alzheimer’s Society ranks dementia as the “biggest health and care crisis of our time”. “A million people in the UK will have dementia by 2021 and we are simply not ready for that challenge,” Hughes said in a statement on the Alzheimer Society’s website. This intensifies the need for extensive care and care homes that can cater to the needs of those suffering from these conditions. According to Alzheimer’s Research UK, in England and Wales, the number of people living with dementia and who need palliative care will almost quadruple by 2040. The research also reported that 311,730 (39%) of people with dementia and aged over 65 live in care homes (either residential care or nursing homes) while 493,639 (61%) live in the community. The increasing need for care homes, specifically for these conditions, and the lack of supply, offers investors the platform to make a difference. Investors help fund the private sector’s efforts in building properly equipped care homes and offering dignity to those in need, while profiting from rental returns. Virata Thaivasigamony of CSI Prop believes that above other investments, investment into elderly care homes gives investors the fulfillment of having done something good for others. “Yes, it is undoubtedly a profitable venture, but it is also an investment that adds value to society and truly makes a difference,” he said. Why NOT Singapore or Hong Kong? The growing imbalance between household income and house price growth has caused a severe affordability crisis. Most households can no longer afford to buy a property in major cities without a substantial inheritance, not to mention rents that continue to consume a significant share of the monthly income. The skyscrapers in Singapore, though magnificent and tall, are proof of the island’s lack of space — after all, with land so limited, the only way to go is up. Singapore was rated by S&P Global Ratings as the second highest region in Asia for house prices, thanks to growing foreign demand for private housing. The increase in Singapore property price index in 2018. Source: Urban Redevelopment Authority (URA). Prices of private homes are still inching higher, albeit at the slowest pace in five quarters (June 2017 – June 2018). Data by the Urban Redevelopment Authority (URA) shows that private residential prices in Singapore increased 0.5% in the last 3 months, compared to a 3.4% advancement in the June quarter. All this despite additional property curbs imposed by the government, the latest being the implementation of the Additional Buyer’s Stamp Duty (ABSD) and Loan Limit, to avoid a property bubble burst, which potentially has the risk of destabilizing the nation’s economy. The ABSD rates were raised by 5% for citizens and permanent residents (PRs) buying second and subsequent homes, and by 10% for entities, said the finance and national development ministries, as well as the Monetary Authority of Singapore (MAS) in a joint release. There will be no change in rates for citizens or PRs who are first-time buyers. “The government has been monitoring the property market closely. We are very concerned that prices are running ahead of economic fundamentals,” said Lawrence Wong, Minister for National Development in an interview with Channel NewsAsia. The UBS Global Real Estate Bubble Index 2018 shows Singapore and Hong Kong amongst major cities at risk of a property bubble burst, Hong Kong being the top of the list at a whopping 2.03%. Singapore, though rated fair-valued (0.44), is close to being overvalued. Ultimately, the growing imbalance between household income and house price growth has caused a severe affordability crisis. Most households can no longer afford to buy a property in major cities without a substantial inheritance, not to mention rents that continue to consume a significant share of the monthly income. The Hong Kong property market has retained its vibrant momentum. Residential market prices have risen again by more than 10% over the last four quarters (as at Sept 2018), raising the city’s UBS Global Real Estate Bubble Index score higher within the bubble-risk zone. Since 2008, property prices have doubled while rents have gone up by 15% and incomes have remained unchanged in real terms. The market is chronically undersupplied. Over the last decade, its affordability has fallen the most among many other cities in the European and Asian region. Even for highly-skilled workers, property ownership is now out of reach. With citizens priced out of their own market, political measure has mounted to curb price growth. Recently, the government announced an occupancy tax for vacant, completed units to encourage developers to sell them as quickly as possible, in an effort to improve supply. As high as the initiative taken by the authorities to prevent further crisis in the market and to decelerate house price growth, a sharp correction seems nearly unlikely. It is now apparent why investors from Singapore and Hong Kong are looking beyond their own shores to invest their money. Countries such as the UK and Australia are a top choice for property investors looking for good returns. In the UK, investors are increasingly shifting their focus from London to regional cities such as Manchester and Liverpool, due to growth potential and market demand. The latest data from Private Finance has shown that Manchester and Liverpool are among the UK’s top 10 cities for strong rental demand, promising prominent rental yields of 4.8% and 4.6%, respectively. Meanwhile, the increase in the foreign student population continues to drive demand for accommodation, adding to the appeal of the UK property investment market, particularly in top university cities. Shaun Church, Director of Private Finance, commented that while recent (April 2016) stamp duty changes may have dampened landlords’ appetites, buy-to-let property still remains a viable investment. He added that strong rental incomes matched with declining mortgage costs mean that investors can still enjoy a level of return on their investment they’d be hard pressed to find elsewhere. House price growth in Australia has slowed in recent months, led by Sydney and Melbourne. A forecast done by BIS Oxford Economics suggests that the Australian housing market is in for soft landing. Taking inflation into account, BIS predicts that modest price declines will take place in most capital cities over the next 12 months, but that the situation will turn around, transforming into growth over the next 3 years. The growth potential of Australian housing market over the next 3 years. Image credit: Michael Yardley’s Property Update. Hence, despite the current downfall, the Australian housing market — supported by low interest rates, a relatively stable economic environment and a strong and promising population growth — is unlikely to crash. The high number of skilled foreign migrants flocking Down Under will further strengthen the underlying demand for houses. This may well be a good time to have an eye on the Australian market. Housing unaffordability continues unabated in Hong Kong’s uber-expensive property market. It’s no secret that the housing market in Hong Kong is the world’s most expensive. Data by the Rating and Valuation Department reports that as of July this year, property prices on the island had risen for the 27th consecutive month. 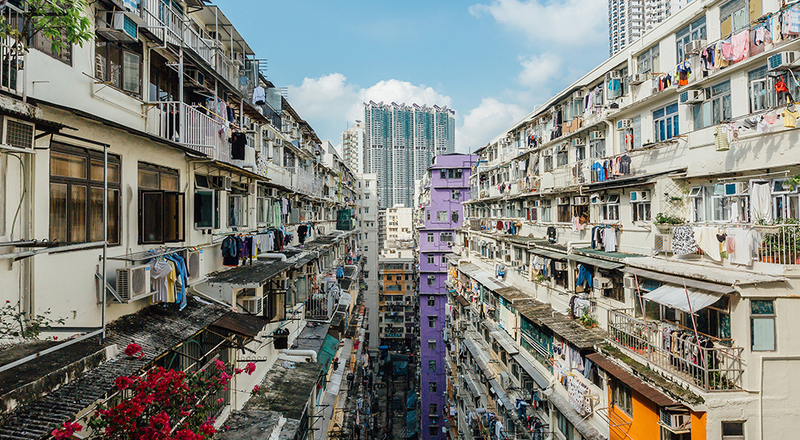 According to Demographia, the average house in Hong Kong costs 19.4 times the local gross income — a clear explanation why homeownership levels in this city are among the lowest globally. Its luxury developments, in particular, are worth hundreds of millions, and the higher the redevelopment value of an area, the more expensive it is. The Deep Water Bay development, for instance, costs approximately £576m. Upon redevelopment, houses built on the site could fetch a whopping £13,518 psf! The price of property in Hong Kong has been on a steep trajectory causing many Hong Kongers to look to UK property instead. Image from South China Morning Post. Homebuyers are betting that Hong Kong’s property prices will continue their upward spiral, despite the government’s effort to tackle affordability and enable people to afford their homes. With a population of 7.3 million and limited space, the city is facing serious housing issues. Which is why Hong Kongers have increasingly been looking to the UK property market given its relative affordability and high investment returns. In 2017, Skipton noted a 65% rise in buy-to-let mortgage completions from Hong Kong investors compared to 2016. This number seems to have increased further this year. Skipton International is a financial institution and bank wholly owned by Skipton Building Society. Skipton offers a wide range of offshore savings accounts and mortgages for buy-to-let investments in the UK. Interestingly, even though London remains the top investment choice for some, a growing number of Hong Kong nationals have begun casting their sights on Manchester for better investment opportunities and returns. As a core city of the Northern Powerhouse, Manchester, as well as other northern cities like Liverpool, are major beneficiaries of the UK government’s various master plans to boost the economy. These city centres are evolving and expanding rapidly with new business districts and residential areas – enticing Hong Kong and other Asian investors. At the moment, UK’s house prices are rising at the slowest annual rate for almost five years according to the Office for National Statistics, yet, until now, the government has failed to ensure that housing supply meets the demand. As Manchester and Liverpool continue developing and creating more jobs, it is expected that demand for housing will increase, thanks to the growth in internal and overseas migrants.s. Thus, big opportunities for investment into the housing sector — and its profitable returns — continue to abound. As the world progresses into a new era and populations grow, cities, too, will evolve, transforming from nondescript outer suburbs into big capital cities, like Manchester, Liverpool, Birmingham – even Kuala Lumpur. Infrastructural growth is the main catalyst for the changes that attract migrants, causing an increment in population numbers. Thus, small cities become capital cities. In the UK, some of the most exciting cities today in terms of population, job and infrastructural growth are Birmingham, Liverpool and Manchester. Research compiled by Centre for Cities cites Birmingham as the second fastest growing city after Liverpool from 2002 – 2015, increasing from 9,800 to 25,800 people — 7 times faster than London over the same period. This is impressive, given how London had completely eclipsed Birmingham in the past. How the tides have changed! Knight Frank reports that the number of people living in Birmingham will rise by 171,000 to a total of 1.3 million people by 2039, especially with the expansion of the HS2 high-speed rail line being built in central Birmingham and nearby Solihull, followed by other regeneration projects. A sweet enticement to new investors indeed. In the face of this renaissance, this booming city, also fondly known as “The City of A Thousand Trades” maintains its status as the heartland for British industry. The growth of the motor car as well as manufacturing continues to support the industrial sector in England and Wales, creating more job opportunities and attracting more people — many of whom have relocated from London. Between 1998 and 2015, job growth in Birmingham hit 30%, representing around 30,600 jobs in total. However, despite the massive development and job growth, Birmingham is facing a shortage of housing. Between 2011 and 2016, only an estimated 8,000 new houses were built, whereas the actual demand was around 20,000. The latest data by Hometrack shows that Birmingham is at the third place of house price growth in England, after Manchester and Liverpool, whilst London remains at the bottom. Manchester clinched top spot at 7.4% growth, followed by Liverpool at 7.2%, and Birmingham at 6.8%. London stayed somewhat flat at only 0.7%. The average price in Birmingham was at £161,200, slightly lower than Manchester at £166,100, and Liverpool, at £121,900.While price growth in London has been static, house prices there are more than double the national average at £494,800! Clearly, cities in the Northwest received high capital gains over the last 12 months, yet there is still much room for growth. The outlook for the housing market in Birmingham appears rosy, thanks to its economic growth thus far. The region’s strong performance is mainly attributed to its manufacturing sector. In 2016, manufacturing made up 11% of employment in Birmingham, compared to the average for UK cities of 8.8%. Due to costly house prices, as well as lesser employment opportunities, many Londoners, especially millennials, are relocating to Birmingham,and the other booming cities of Manchester and, Liverpool . Malaysia had its fair share of ups and downs in 2017. While the overall Malaysian economy fared well throughout the year, international notoriety for the 1MDB scandal and plunging property market proved to be it’s not so subtle undoing. According to Bank Negara Malaysia governor Muhammad Ibrahim, the ringgit did strengthen by 14.6% last year, with the upswing greatly credited to market forces. Such forces did not, however, include the property market. The Malaysian Reserve reports that due to an excess of housing supply, economic and political concerns as well as exorbitant house prices, local high-end and low-end properties seem unlikely to recover from its fall in 2017 anytime soon. According to National Property Information Centre (Napic), the first quarter of 2017 showed 130,690 unsold residential properties throughout the country, demonstrating the oversupply currently besetting the nation — also revealed was that the top five highest rental yields recorded last year were lower than those in 2015. The total unsold units in Napic’s findings include overhang (completed, but unsold) units, unsold under construction units, as well as SoHo (small office/home office) units and serviced apartments. The majority of unsold housing spaces fall under the above-RM250,000 category; 83% of them, to be precise. Of this 83%, 61% of the total unsold units comprise high-rise properties, of which almost 100% were priced above RM250,000. Housing affordability remains a primary problem in the Malaysian property market. A summary of what Affin Hwang Investment Bank Bhd analyst Loong Chee Wei told The Malaysian Reserve is as follows: the property market is far from an upturn due to the rising cost of living and the disconnect between society’s income and affordability level. The commercial sector in Malaysia also faced a major downturn due to a glut in the market. True vacancy rates in Klang Valley malls were up to 60% in some areas, according to a Financial Times (FT) article acknowledging the country’s continued obsession with building more shopping space despite chronic oversupply. What best illustrates the critical oversupply in Malaysia is the value of unsold and unutilised a properties which rounded off to a whopping RM35.5 billion. With the previously mentioned conditions in mind, the local property market is set to welcome a buyers market. Local property investors seeking great returns would find it in their best interest to manage expectations as property sales in Malaysia are not as attractive as they used to be. Public Investment Bank Bhd’s research arm has reported that Malaysia is slated to become the second fastest growing economy in Asean. The Malaysian economic outlook for 2018 and a steady growth of the local currency have opened doors for investors who are looking to leverage on flourishing property markets overseas. The UK and Australia are home to a high-yielding, growing property market where the currency is stronger, hence rental returns and appreciation are at a higher value than the ringgit. Moreover, these countries are home to a critical undersupply of houses unlike Malaysia, following a high population growth due to migration, job creations and educational opportunities. Furthermore, regeneration schemes that are taking place in the UK and Australia, such as the Knowledge Quarter in Liverpool and the ‘super city’ project in Melbourne, will further drive population growth. “The UK and Australia have strong growth potential. The population and its demand for housing have grown faster than supply, causing property prices to keep appreciating. It is also because of this, that there is a strong rental market,” says property expert Virata Thaivasigamony of CSI Prop. Among the various evolutions Britain is undergoing is its acceptance of renting homes. A sudden decline in homeownership depicts the UK’s new perspective on accommodation: the percentage of householders who own their homes has dropped by 7% since homeownership hit its peak in 2003. The emergence of the Generation Rent is illustrated by research from PwC, revealing that almost 60% of 20-39 year-olds in England will rent their homes by 2025 with only 26% getting on the housing ladder. Concertedly, government data reveals that the private rented sector has doubled in size since 2004, with almost 50% of people in England aged 25 to 34 paying a private landlord for their accommodation. These statistics point towards a booming buy-to-let sector, with the younger generation playing a very big role. Worth noting is a more personal perspective on renting. A survey released in January, 2018, reveal that three-quarters of British adults aged 18 to 30 don’t believe they will ever be able to afford to buy a home even though they have full-time jobs. Some, like Jamie, a Business Manager for a Health GP Company in Northumberland, have a slightly different view. “I have no issues with (renting). There is, to a degree, temporised value; you can often live in a nicer area, nicer street etc. for a cheaper monthly payment than a mortgage payment. Some see renting as ‘throwing money down the drain’ but I see it differently. Renting allows you to become, in some odd regard, a more static member of the travelling community.” he says. Jamie’s welcoming attitude mirrors the widespread acceptance of renting throughout the rest of Europe. In France, just over 50% of the population live in their own properties. And in Paris, the figure is less than one in three. In Germany, house ownership is even more scarce. Only 39% of Germans own the homes that they live in, and in Berlin this figure dwindles down to just a mere 13% of the population owning their own home! Back in 1996 renting a home used to be 25% more expensive than owning one but in 2007, it became 79% cheaper to rent than to own! According to Savill’s calculation, for a first-time buyer’s monthly costs to be lower than the costs of renting, the purchaser would require, on average, a deposit of at least 39% of the value of the property! A typical home in the UK now costs six times average annual earnings despite slowing house price inflation. According to Nationwide, house prices have risen by 20% over the last three years while wages rose by just 6% — the average price of a house in England today is 6 times the average price it was 3 decades ago! The private rented sector has taken over from councils and housing associations as the biggest provider of rented homes with prices paid by tenants in Britain increasing by 2.3% in the 12 months to Sept 2016, according to latest official data. The UK is currently facing the worst housing undersupply since the Second World War. In late 2015, the BBC published an incriminating article on the shortage of housing in the UK, citing the Labour government’s failure to build 240,000 homes by 2016 — a target set in 2007. Brexit-backer Iain Duncan Smith said the UK would need to build 240 houses a day for 20 years to cope with increased demand. The outcome of low supply and high demand are skyrocketing prices. With house prices being raised at unaffordable rates, the best bet would be to rent. Home ownership is clearly declining among those within the younger age group. This is caused by a number of reasons including affordability and, increasingly, preference (lifestyle). While some decide to rent due to economic reasons, some are choosing it based on lifestyle. Millenials are choosing to settle down later in life as they switch jobs and careers more often than their parents. A research conducted by AXA discovered that less than 50% of the research participants are renting because they cannot afford it. The research revealed that many enjoy the freedom and flexibility of being mortgage-free. With the potential of the buy-to-let sector being a means for lucrative returns already established, the shrewd investor would find it in their best interest to know where, exactly, to get the highest rental yields in the UK! Liverpool and Manchester, specifically, provide great returns! Renting seems to be ultimate choice for millennials. Today’s generation are tomorrow’s property owners/investors and landlords, as well as future tenants. Thus, it is vital to observe the trends in the property market in order to reap the best benefits from our investments. One thing that’s gotten very clear is that youngsters are becoming more disenchanted with the housing market. Millennials all over the world, especially in major capital cities like London, Manchester, Melbourne — even in Kuala Lumpur — are facing difficulty in getting on to the property ladder. Affordability is a prime factor that millennials have to consider when buying a house today. Despite government initiatives provided for first-time house buyers (who are mainly millennials), affordability remains a serious issue, especially if the property of choice is in a prime location. Chances are that lower-priced properties will not live up to most expectations, namely, convenience and proximity to what matters. Land size is no longer a priority for millennials; rather, easy access to transport links, hospitals, educational institutions, convenience stores, and the city centre are what counts. Even with governmental incentives, properties within reach of affordability are usually located in the outer suburbs, which tend to be less developed than the city centre. It‘s everyone’s dream to own a house and provide a shelter for family members. Research shows that the average first-time buyer in the UK is now 30 years of age or older, which is 7 years older than in 1960. In 1960, the average first-time buyer at 23 years old, needed only to pay £595 as down payment. Today, the average first-time buyer will need to save around £20,000 and pay a deposit of £20,622 to be able to own a house. If current property trends continue, this amount will increase as property becomes more valuable in future. Researchers found that homebuyers in the 1960s spent only two years saving money for their deposits with an average household income of £2,854. Those who bought houses since 2011 spent more than five years saving as deposit amounts kept increasing. As a result, 48% had sought financial help from their parents. Recently, yet another report noted that the average single first-time house buyer would need just over 10 years to save for a deposit to buy a house in the UK. Single first-time buyers who just started saving this year would struggle to put together a 15% deposit before the end of 2028, while couples only need five years. Research by Hamptons International show the time needed by singles and couples to save for a home in the UK. Note the time taken to save for a first home in London. Original table from The Guardian. In London, however, it take first-time buyers 17 years to put down a 15% deposit by 2035, despite house price falls due to Brexit. Goes to show how inflated prices in the UK’s capital city have become as a result of housing supply unable to cater to a growing population. In Australia, the typical age for first-home buyers has increased from 27 years old in the early 1990s to 29 years old in the early 2000s. As at 2017, the average age has increased to 31 years old, with around 20% required as deposit. Meanwhile, in Malaysia, there is high demand for rental property among millenials as only 33% of them can afford to buy a house due to escalating property prices and slow income growth. Clearly, home ownership is becoming a big challenge for the young people all over the world. Bad enough that they would have to wait so long to own a house as prices keep rising, what more the taxes they would have to pay later on? Millennials especially in the UK and Australia are choosing to rent while saving to own a house. Even more are opting to abandon the idea of homeownership entirely, preferring to rent instead. Renting and partial homeownership is easier, as well as cheaper, and certainly more favourable compared to a mortgage payment, especially if it means living in convenience. This offers a great opportunity for profit in the buy-to-let market as landlords stand to receive good and regular income from rental property.